For this post, I have put together a collection of the best home office desks available for purchase. A desk is the centerpiece of any home office, so picking the correct one is essential. For a piece of furniture that you spend a lot of time with, it is important to find the right desk that meets your requirements. I have included a variety of desk materials and configurations in this list. Hopefully this will help you find what you are looking for in a home office desk. 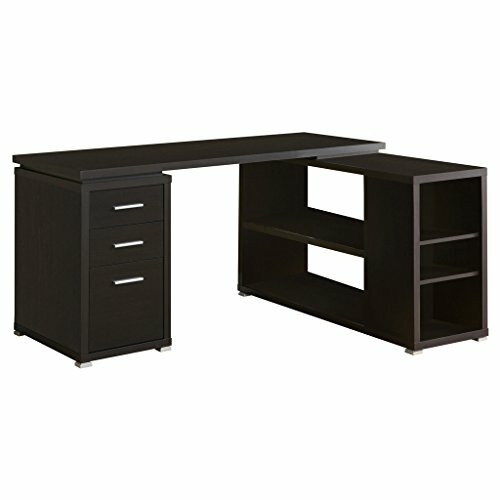 These desks will not only help you do your best work but also are offered at an affordable price. So here is my list of The 10 Best Home Office Desks. Transform your office space with this desk from the cottage road collection. Spacious work surface provides you with room for all your office essentials. Features two drawers will full extension slides and two lower shelves for additional storage. The file drawer holds letter-size hanging files to keep you organized. Finished on all sides in soft white with a lintel oak accent. 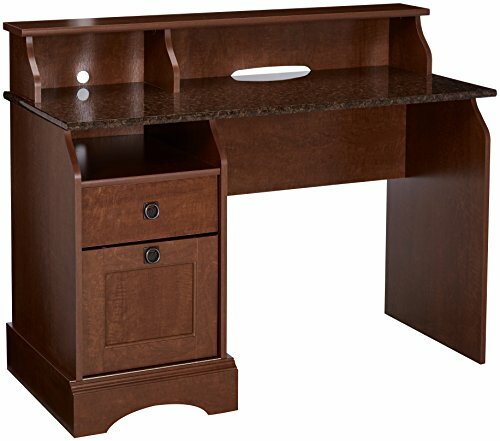 Versatile desk will look great in any home office. Whether in the home office or workplace, this contemporary desk is a fashionable workspace solution. 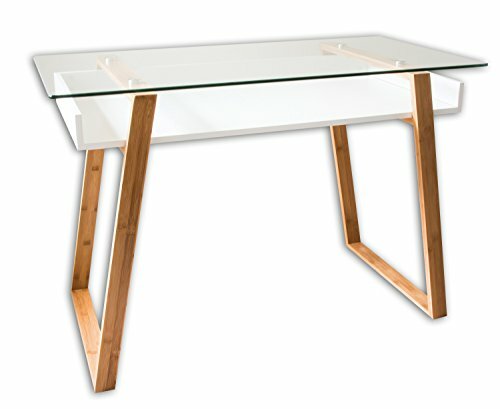 Wood and glass desk fits perfectly in both modern and traditional settings. Work surface consists of a robust and shatter-resistant tempered glass top. White lacquered MDF-wood shelf underneath and sturdy bamboo legs. Works great as a computer table for your PC or laptop. 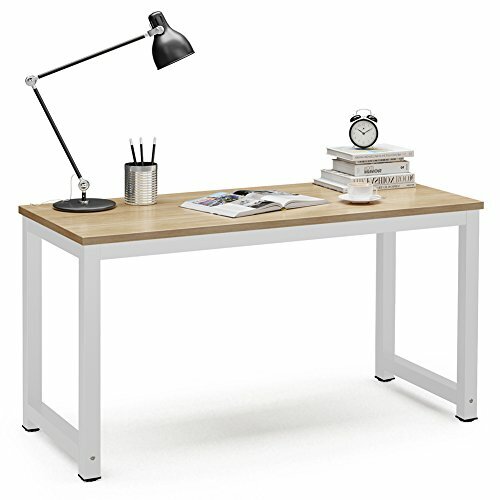 Functions as a home office or a student writing desk. Offers deep storage compartment for paperwork and office supplies. This home office desk delivers the functionality you crave with the modern style that suits your taste. Frosted glass appears to float over the streamlined metal base. 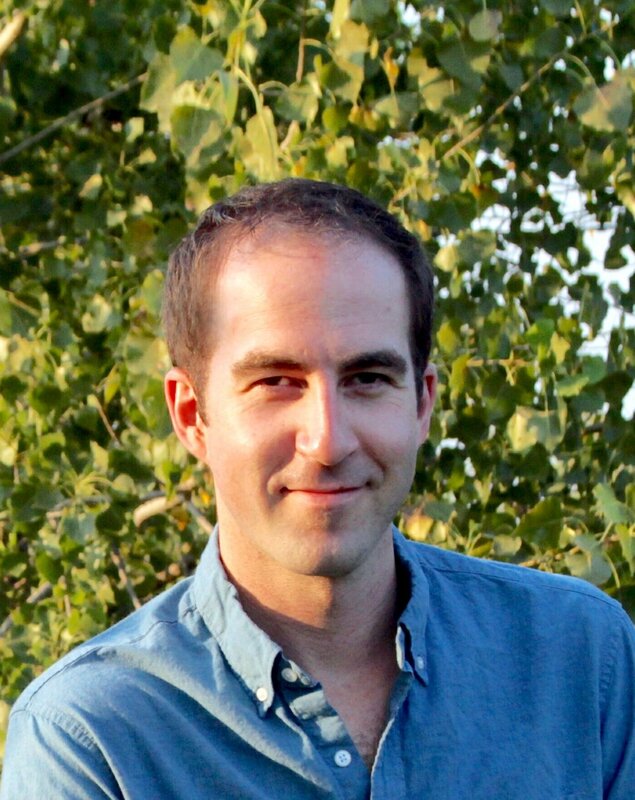 Applying that connection, Grabowski strives to solve problems in smart ways using simple, uncluttered lines. 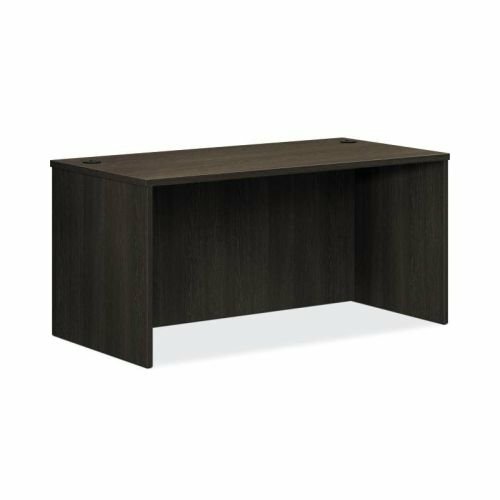 His Everywhere™ Rectangular Table (2011) is smart in every way, its strength, versatility and trim profile making it a great option for conference rooms, offices or home craft rooms. Suitable for residential and commercial use. Hollow-core "L" shaped computer desk will be a stunning focal point in your contemporary home office. Simple and stylish piece features clean sharp lines, in a deep cappuccino finish. The shell writing desk offers a spacious work surface that is great for doing paperwork, or using a computer. The secondary surface offers an additional work space, and extra shelves that can be used for a printer or other important items. Features a matching file cabinet that keeps your desk supplies organized, with two medium storage drawers and a convenient lateral file drawer below. Silver colored handles and feet boldly accent the piece making it a must-have for any home. 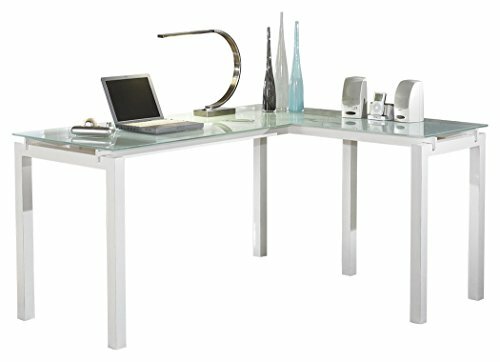 Sleek L-shaped glass desk from Z-Line Designs. Sturdy metal frame with reinforced plates on welding joints. Clear 6mm/5mm tempered glass on desktop, display shelf, and slide-out keyboard tray. Unfettered by excessive drawers and shelves, the simple design of this three-piece corner desk exudes sophistication. 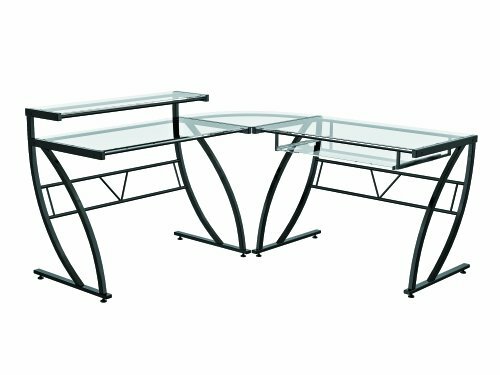 Crafted from beveled tempered safety glass and powder coated steel legs for a durable, long lasting desk. Includes an autonomous CPU stand and a sliding keyboard tray that can be mounted on either side of the desk. RELIABLE: The basyx by HON BL Series is a durable option for any work environment. Laminate top withstands heavy activities, frequent relocation, scratches, spills and stains. EFFICIENT: A metal-to-metal fastening system easily lets you combine this 60"W desk shell with a return shell to create an L-workstation for more space. DESIGN: Simple design of this desk matches any decorating style and the desktop grommets help to organize power cords for a clean looking work station. BUDGET FRIENDLY: This desk shell along with the rest of the BL Series offers excellence without expense. DURABLE WORKSTATION: High-quality materials to keep your desk sturdy for years but keep you covered with the basyx by HON 5-year Limited Warranty. Contemporary, open-concept design and clean aesthetic. Stable and sturdy with robust metal frame and track-style legs. Scratch-resistant laminate finish protects the desk's surface from daily wear and tear. Clean, minimalist design with an open-air style is extremely versatile. Easy to assemble, just install the four legs (less than 15 minutes). 55"x 23.6" top surface provides plenty of space. Leg pads adjust to level the desk even on an uneven floor. I hope this list has been helpful, if I left out a home office desk you think is important, let me know in the comments below.